A good juicer is an essential addition to any kitchen. But what you would mainly use the juicer for would help you decide which would be the best juicer to buy. The 3 common types of juicers are Centrifugal juicer, Masticating juicer, and triturating juicers. If you are looking for a basic juicer which does a lot of work and yet available at a lower price, then a centrifugal juicer would be a good choice. But if you are looking for one to add a lot of value to your diet, a masticating juicer is what you need. 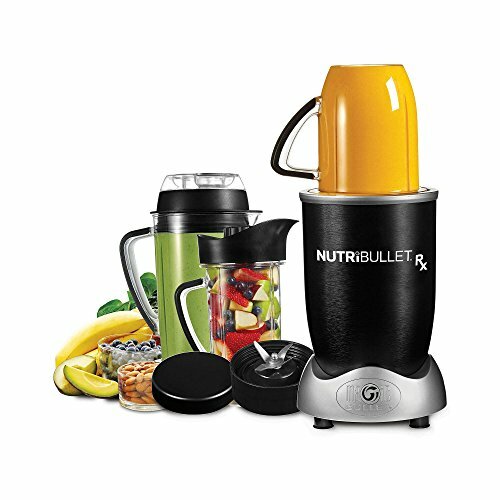 These juicers extract the maximum juice from fruits and vegetables while retaining all the nutrients in them. This is why masticating juicers are steadily gaining popularity. If you are looking for a versatile juicer, triturating juicers would be a good choice. They are the slowest types of juicers but you get the greatest quality of extracts and juices. Each type of juicer has its own advantages and drawbacks. The centrifugal juicer is the commonest type and is the least expensive option. So if you are looking for a multipurpose juicer look for the best juicer machine in the centrifugal category. If your focus is to make healthy smoothies and juices, and if you don’t mind spending some extra bucks choose the best masticating juicer. Here is a list of the best juicers on the market to help you choose one for your kitchen. With powerful motors, easy operation and the best in class juice extraction, each of these juicers could be ranked as the best juicer 2017. 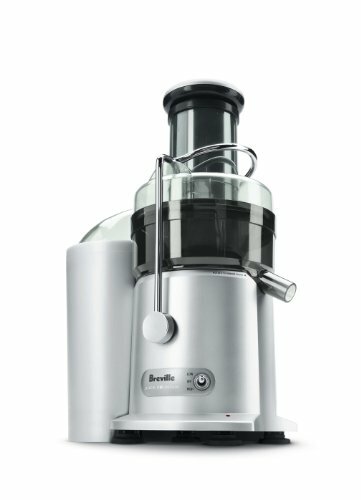 If you are looking for a beginner level juicer which can do a lot more than extract juices, the Breville JE98XL Juice Fountain Plus is your best bet. This is also reasonably priced for a feature packed machine. The patented Nutri Disc system takes juicing to the next level. It helps retain the nutrients in the fruits while also extracting the maximum juice. The mesh filter ensures maximum extraction and this makes this juicer the closest option to a masticating juicer but at a much lower price. The dual speed adjustment option comes in handy when you have to grind harder and softer vegetables or fruits. The user-friendlyfuss-free design and controls make it great for the beginners. This juicer comes with one of the highest torque. The single speed motor has the perfect rpm to get maximum juice from the fruits and vegetables. This is one of the quickest and the simplest when it comes to the operation. There is no on/off button or speed control. It starts automatically when the jar is placed on the base. The unique aspect of this juicer that makes it stand out from the other similar players is the addition of the option to make piping hot soups in this. The G button in the NutriBullet is for the soup mode. There is a soup pitcher included in the package. This has one of the most powerful motors among the three models compared here. In fact, a 1700 watt motor is one of the best in the juicer segment. This is the reason why you get perfectly blended smoothies from the NutriBullet. This is also one aspect that makes it stay ahead of the competition. Making single servings of juice and smoothies are simple and quick with this juicer. 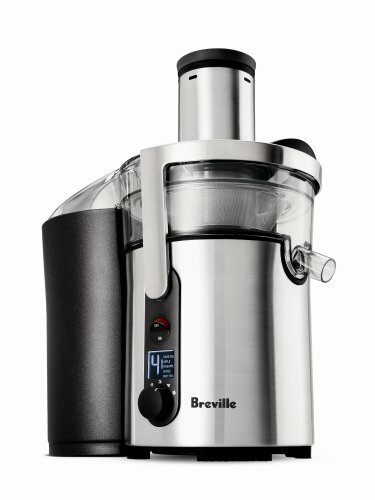 For a modern kitchen, if you are looking for something more versatile Breville BJE510XL Juice Fountain is what you would need. This is a more advanced version of Breville JE98XL. It comes with a more powerful motor and more options to control the motor speeds. Even with a heavy load, you get the maximum extraction thanks to the smart chip installed in the machine to automatically increase the cutting disc’s power. The fact that it doesn’t get heated up much and only so a negligible amount of heat is transferred to the ingredients is responsible for the fact that you get finest extracts with most of the nutrients intact. You have 5 controllable speeds to choose from based on the texture of the fruits or vegetables. There is also an LD display to indicate the speed and the options of fruits/vegetables suitable for the selected speed. It has a mesh filter made of stainless steel to separate out the pulp. The noise and vibration levels are also the lowest even with the motor power of 900 watts.